Increase your chest's time under tension to achieve bigger pecs with these four moves. To persuade a stubborn pair of pecs to grow, you’ll need to put some more pressure on them. This means increasing their time under tension (TUT)—the duration your muscles are contracting during a given set or workout. Increasing the total number of sets is one way to do this, but greater TUT can also be achieved by performing isometric contractions on every set of bench presses and cable flyes. In this workout, a set of six to 10 reps that would typically take 30 seconds or less to complete will now take almost a minute. 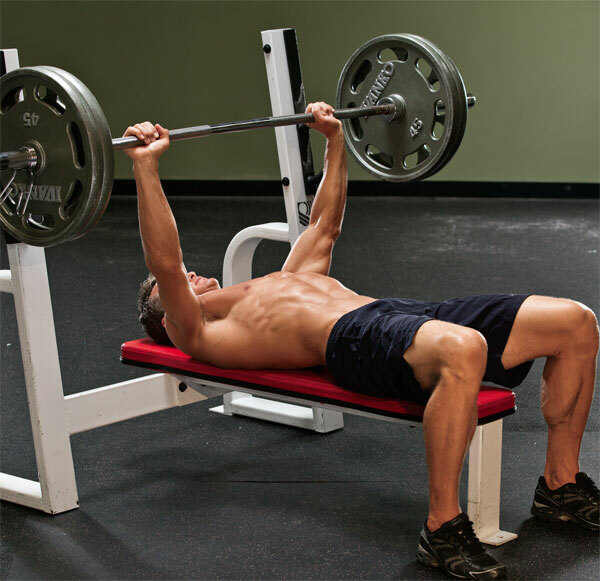 Lower the bar to your chest, press it halfway up, lower it back down, then press it all the way up. That’s one rep. Use a medium-width grip. Squeeze your hands and try to “bend” the bar.